Will the HTC M7 be introduced a few days before MWC? It had been thought that the HTC M7, the next flagship Android model for the Taiwan based manufacturer, would be introduced at MWC in Barcelona. The annual event starts on February 25th. But wouldn't it be great if the phone was unveiled earlier? If a particular tweet contains legitimate information, the HTC M7 will be unwrapped a few days earlier next month. According to a person who claims to have connections from his "many years of work in the field," the handset will be revealed on February 19th at a dedicated event in London. Now a few days earlier might not seem like a big deal to many of you, but hey, we're talking about a full HD resolution on a 4.7 inch display. That works out to an unearthly 468ppi pixel density. And while we are on the subject of tweets, as we told you Tuesday night, @evleaks sent one out yesterday revealing that T-Mobile is not going to get this device. That leaves Verizon, AT&T and Sprint customers interested in what happens in London next month. so... what will be on the MWC?? I wonder what M7 offers that DNA doesn't do already on verizon? If comes too early on verizon, it's not good for DNA. Good for others on other carriers though. A better processor and GPU mainly. It'll be a DNA with Tegra 4 (maybe Snapdragon 600), an upgraded camera, bigger battery, and updated software. Seems like a good upgrade, but way too soon for Verizon. Verizon should pass on this. 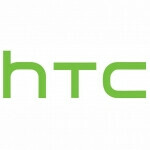 No, the Htc M7 will have Snapdragon S4 pro. The Tegra 4 and the next Gen snapdragons are not available yet. The Tegra 4 and S600 were both supposed to be available in Q1 2013. Last time I checked, February is Q1. Vizio already announced their Tegra 4 tablet, why can't HTC announce a Tegra 4 device a month later? Announcing doesn't mean release. Tegra 4 and the S600 might not be available at announcement, but they should be available before release. OEMs do that quite a bit. Its a minor update to the DNA nothing worth upgrading for since the DNA is getting sense 5. True, but when? Verizon and HTC aren't well known for updates, Verizon being the worst of the two. Somebody may just want the M7 for the jump in software. hopefully a redesigned chassis and a uniform design of worldwide carriers so we can get get back to proper development levels on HTC'S devices and better accessory selection to rebuild a mainstream customer base. when every manufacturer introduces its high-end device in a separate event, then what is the use of event like MWC or IFA?? in this regard, those events become boring. look at CES of this year. if Sony didn't introduce Z/ZL, then imagine how boring the news could be. the following events are no exception as well. i think they want to rush out their flagship before the S4 just like last year. HTC, please amongst other things, get your product naming down an stick to it for a couple years. 468 PPI hmmm!!! this will be hard to beat for 2 months atleast in Android world!!! it is not a difficult thing to do. just decrease the 4.7 to 4.6, then the ppi will become more than what we would have on this phone. the resolution is the same as butterfly but because the screen becomes smaller the ppi increases. easy as that. It's here to stay whether you like it or not. I'm somewhat interested in the sense 5. Bad reporting. The tweet didn't say T-Mobile's not getting it. It said that there was no concrete evidence as of yet that the carrier would be getting it. T-Mobile might not officially get the "M7", but I'm sure that one of the international versions will be compatible with the network. The international will be compatible but I doubt it will have 4g/lte bands. HTC should NOT unveil it before MWC in my opinion. They need a new person in the marketing department one who oversees the launch and marketing and backing of the phone. Cause HTC can still make a solid product that is very worthy of a contending spot. They just do a very poor job with getting it out their to the public. In the States this is true anyways, cause personally I don't think being the first to market a product which will be on every major manufacturers lineup is the best thing to do.. Reason being is you want to leave a lasting impression, people always want the LATEST and greatest with more emphasis on the LATEST. So In my opinion it would be better to launch it slightly after MWC because you have 3 options. 1) You launch it before and it gets recognized but then MWC comes along and people get flooded with all the new gadgets and people can forget about it. 2) Which is similar to 1 you release it at MWC but it also faces the chance of being lost in the midst of several other releases at the event. 3) OR you release it slightly after so you know there won't be much more coming from the competition as for releases and you will be fresh on the consumers mind. Not to mention when you walk into your local carrier and say "what do you guys have?" they reply with "well we have x, y, and z or; we also have the BRAND NEW "Insert HTC name here(M7)" which just came in"
I totally agree with what you said. It definitely makes more sense (no pun intended) for HTC to release the m7 after the MWC so that it receives more attention. Especially since they are already behind Samsung and other...if they want to make a resurgence then they need all the attention they can get. Well if it don't come with expandable storage then it's useless in my book. HTC needs to do two things put the sd card back in there devices and put a battery equal to the razr maxx if Moto can do it anyone should be able to. If this get announced so early , why is the HTC Butterfly for ?